The initial materials should be 100 % steel free. The dimensions of the obtained material depend on the size of the cage screen openings. 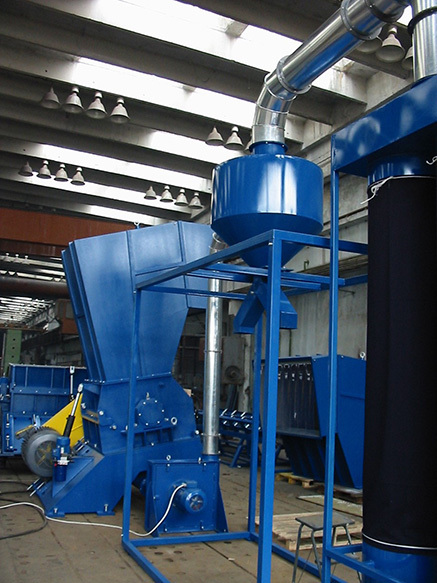 The production rate depends on the kind of processed material and size of the cage screen openings. 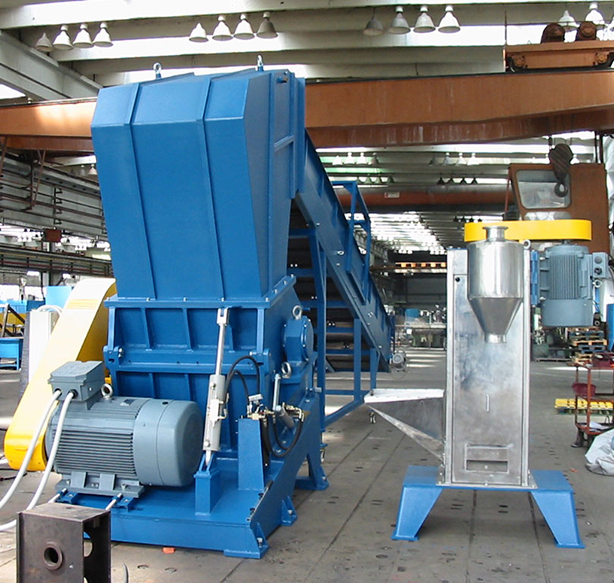 The asynchronous electric motor drives the shaft of the Granulators through belt stretch.The rotor knives are fixed on the shaft.The processed material is fed through the feed opening to the inner part of the machine where it falls between the high speed turning rotor knives and the fixed, adjustable bed and fly knives.They can operate as independent machines as well as included into technological lines for recycling polymeric and rubber materials.The two - section body is a stable welded and reinforced construction allowing entire access when cleaning the machine and when replacing or regulating the blades. The plastic / rubber / cable / WEE granulators are machines used to break the waste down so they can be recycled. 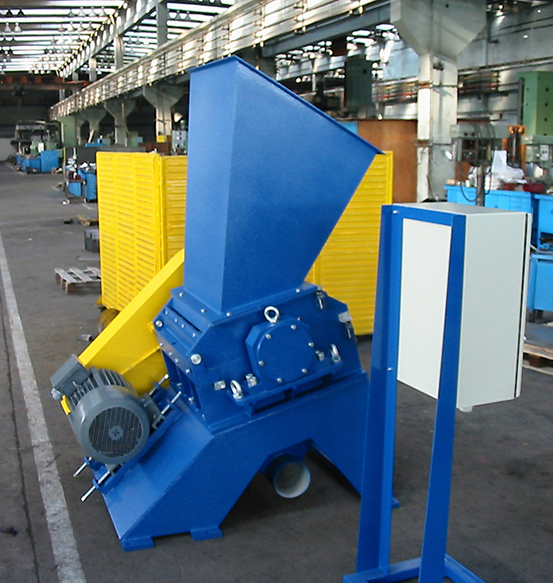 A granulator operates much like a large shredder. It turns full sized bottles, jugs, and other plastic products into flakes, or granules. 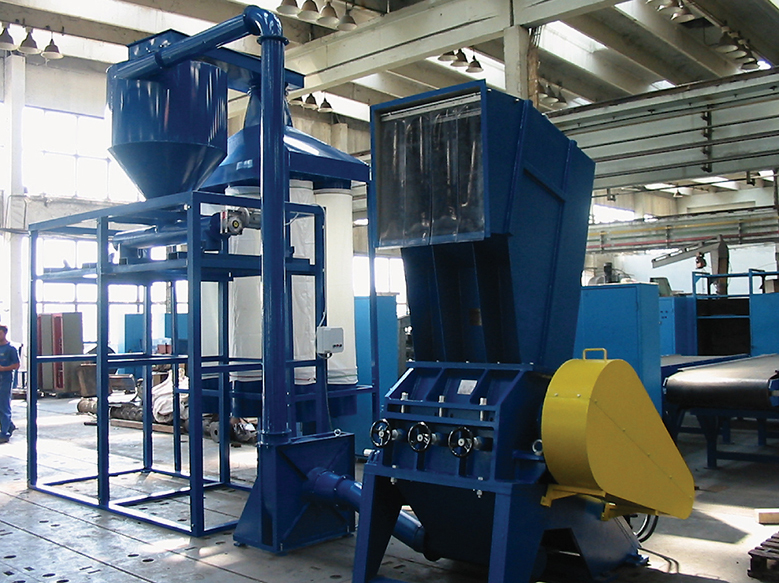 The material produced by the granulator is later sold to molders and manufacturers of plastic products as recycled raw material. The recycled raw material can be used to make new plastic items. Aside from aluminum and glass, plastic is the only material capable of being reprocessed into new items that are of the same quality as the original. 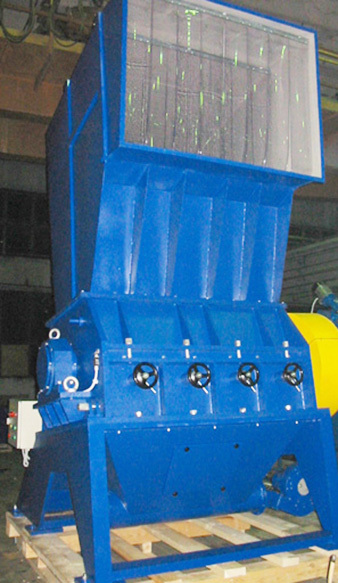 A granulator is comprised of a large electric motor that turns a rotor. Cutting blades are attached to the rotor and encased within a closed chamber. These blades and chambers are available in numerous shapes and sizes. When used plastic material is placed inside the chamber, the rotating blades shred it into granules. a sifter, ensuring the plastic is small enough to be resold. A granulator is rated by kilograms per hour, which refers to how much it can shred within an hour. For industrial recyclers, the chamber of the granulator needs to be large. It is, however, possible to purchase a granulator for home or small business use. It is important to note that these machines can be a dangerous, no matter how small. Therefore, it is important to follow the precautions provided by the manufacturer. In order to properly maintain a granulator, the user must keep it clean. Otherwise, it will not produce the desired small granules of plastic. The blades of the granulator must be oiled periodically. In addition, the inside of the chamber needs to be wiped clean, including the screen. In fact, it is best to remove and clean the screen after every large job the machine completes. - Fly-wheel, if have a need from this detail. - Screen holes from 2 mm up to 100 mm. The motor controls (Star-Delta) are manufactured with units from "Square D" - the US or "Telemecanique"- France. We can supply the machine and with Soft-Start for the motor. The motors for the small granulators are made in Bulgaria. - A jig where the rotor knives can be pre-set outside of the machine so that you can change them quickly without adjusting them in the machine.